The still terribly named “Amour Eternal” musical took place in October and November of last year but another 4 performances are now being scheduled to take place at the Eniwa Municipal Hall in Hokkaido. These shows will be taking place at noon and 5pm on March 11th and 12th. 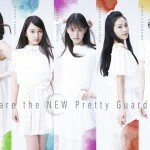 For fans outside of Japan who are unwilling to make the long cross continental voyage to check out the musical you can download a not so legal English subtitled version of it from fan subbing group Miss Dream. 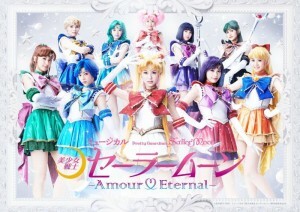 The Sailor Moon Amour Eternal musical covers the Dream story of the Sailor Moon manga, which we still haven’t seen in Sailor Moon Crystal and are all patiently awaiting news about. 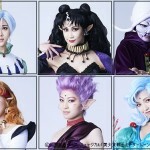 Will any of you have a chance to see this musical in Eniwa, Hokkaido? 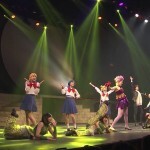 This entry was posted in Sailor Moon Musicals and tagged Amour Eternal, Eniwa, Hokkaido by Adam. Bookmark the permalink.